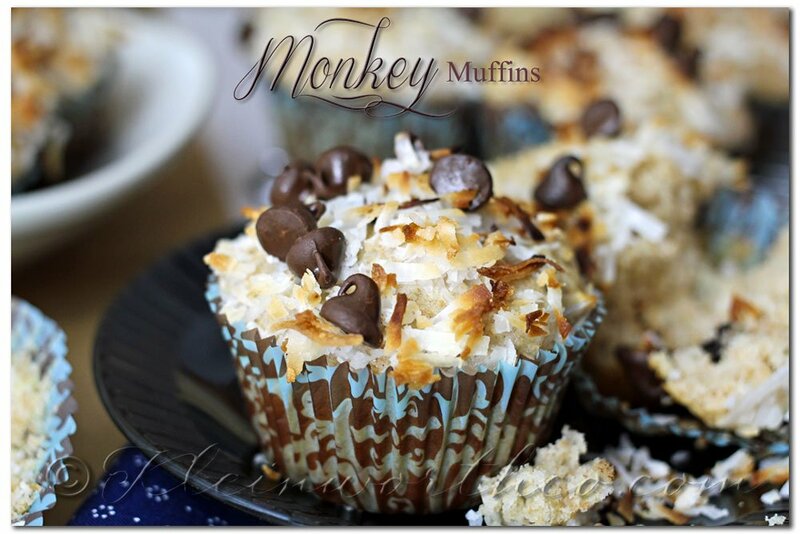 Monkey Muffins are a delicious banana muffin recipe, loaded with coconut & chocolate chips! 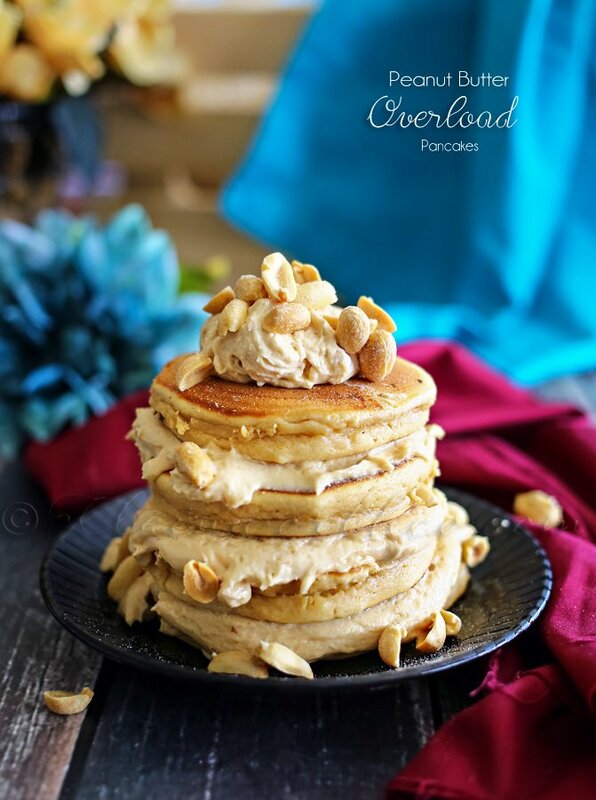 These make the perfect breakfast to make your day happy! This week I thought I would share something that was first shared here by Sarah at Faith, Family & F-Stops. 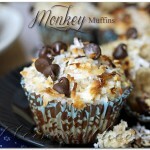 A few weeks back she posted her Funky Monkey Muffins & I was drooling. So much so that I featured them & then I tried my hand at making them. However- like most recipes I try- I put my own twist on it. Taking the basic concept & base ingredients I changed things up. This was mainly because the recipe said it made a dozen. Well in this house with 3 kids that EAT A LOT- I knew that 12 muffins just wasn’t going to cut it. So not only did I double the recipe but then I changed the quantities just a bit to fit my taste. Thank you Sarah- they were FABULOUS!!!!!!!! The kids loved them & I actually got about 30 muffins out of the batch. Worked out great- we had breakfast for a whole week. If you don’t need quite that many (even though they do freeze well) head on over to see Sarah’s post & print off the small batch version. Otherwise you can print this large batch version below. 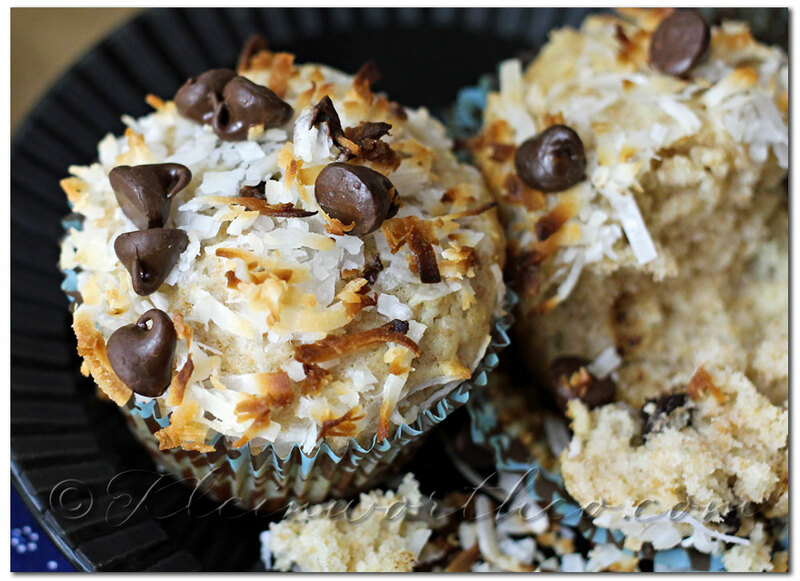 Oh my goodness – just look at that coconut. These make me SWOON! You really can’t go wrong with chocolate chips. 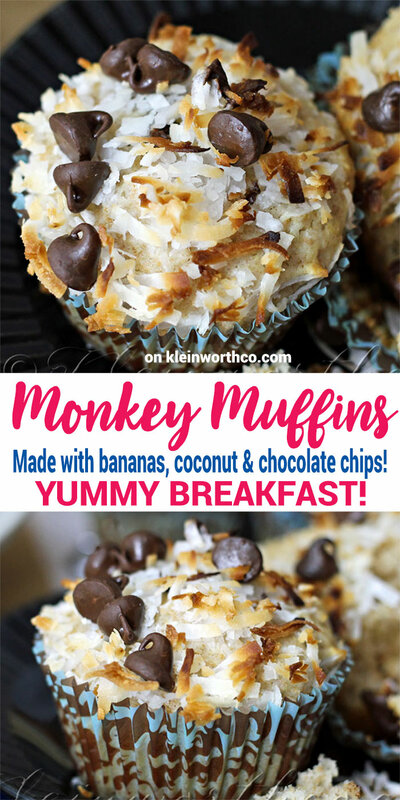 I love making these for breakfast on the weekends! Preheat oven to 400. Line your baking tins. Combine the first 5 ingredients (flours baking powder, sugar, salt) set aside. Mix egg, oil, vanilla & milk in mixer bowl with paddle attachment. Add banana- mix slowly to not splash. Add dry mixture- mix until combined. Scoop about 2 tablespoons of batter into each baking cup. 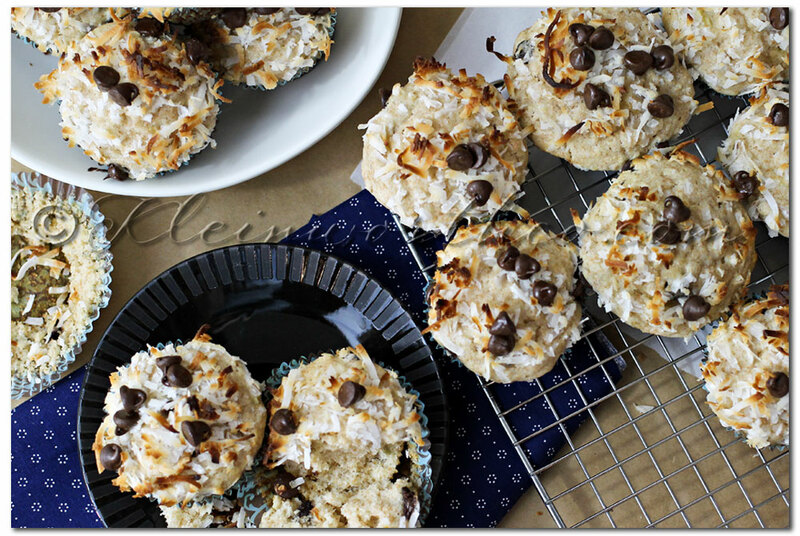 Sprinkle with coconut & more chocolate chips. 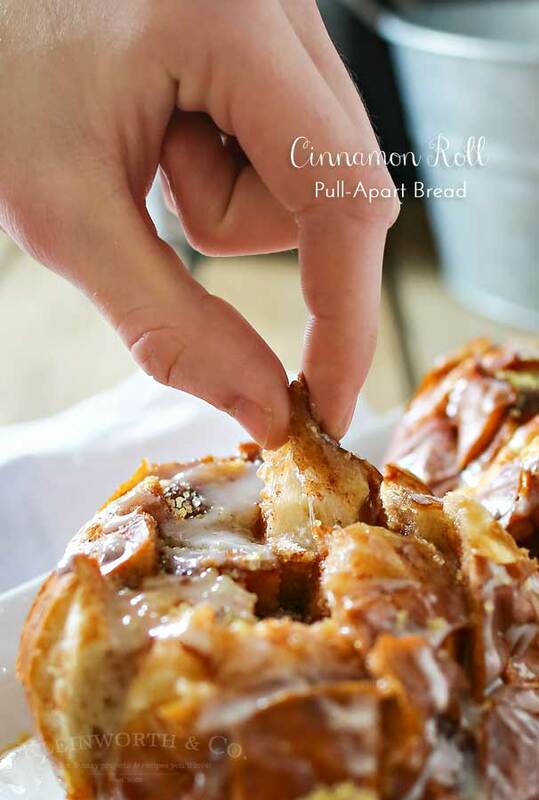 Bake 20 minutes or when your toothpick test is clean. I stored mine in Ziploc bags on the counter for about 4 days. Can freeze if needed. 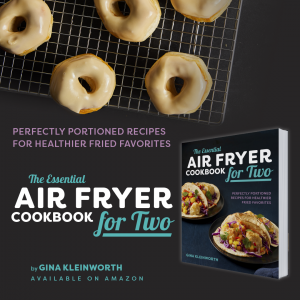 Looking for more great breakfast ideas? These all look so yummy! Thanks for sharing your ideas! Oh man, those look so good! And your pictures are fabulous, as always! Thanks for the feature! 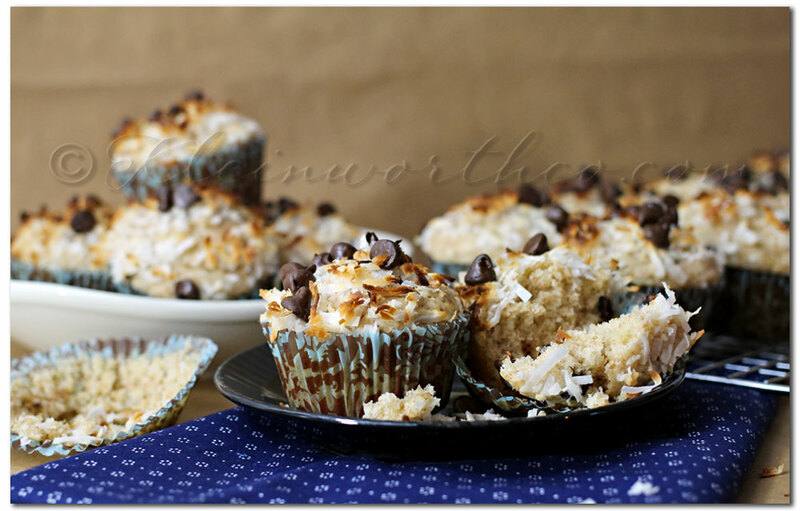 Those muffins look positively heavenly! Those look amazing! I love, love that first food shot! That is gorgeous! Oh my!! Those look delicious! 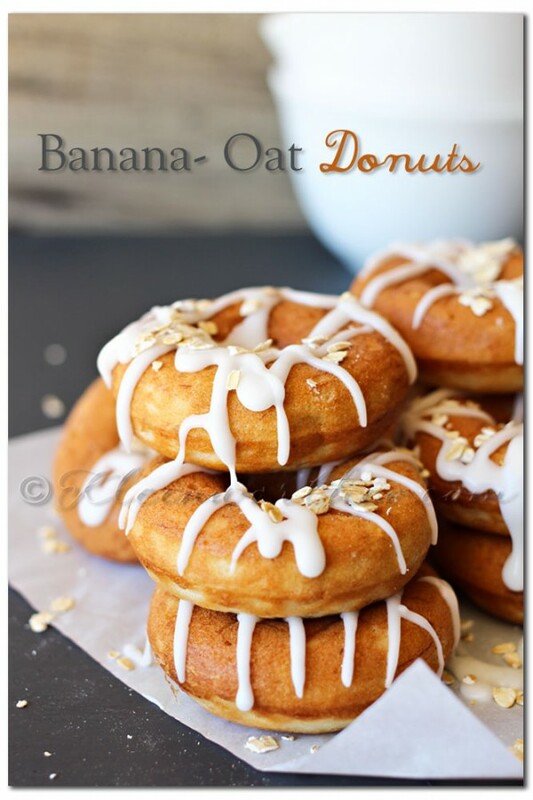 Wow they looks so delicious, have to try them some day! Have a wonderful day!